One of the biggest weapons in the political arsenal of Alexandria Ocasio-Cortez is the 29-year-old Democrat’s ability to generate conversation on social media platforms. Axios reported that the freshman congresswoman garnered more Twitter interactions (including both retweets and likes) than the five most prominent national news organizations combined over a 30-day period between December 11 and January 11. With 11.8 million Twitter interactions, Ocasio-Cortez had more than Barack Obama, Nancy Pelosi, and Chuck Schumer. She also had more interactions than CNN, The Hill, ABC, the New York Times, and MSNBC combined. Only the President wielded more Twitter power with 39.8 million interactions. 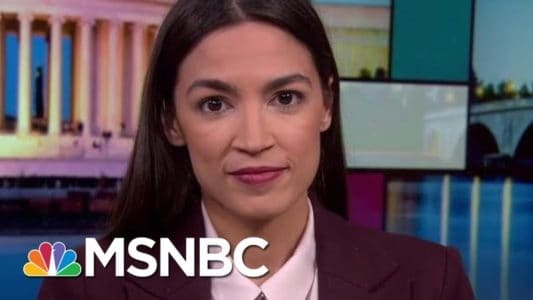 Considering she has been in office less than two weeks, she is generating more social media interest than Democratic big-hitters, including those who have announced their 2020 presidential candidacies. The data also shed some light on the 2020 presidential hopefuls’ ability to generate social media fervor. Of all the contenders for the 2020 Democratic nomination, Kamala Harris had the highest Twitter engagements for the period, pulling in 4.6 million interactions across her Twitter accounts. This was significantly more than Bernie Sanders’ 2.6 million, O’Rourke’s 1.8 million, and Elizabeth Warren’s 1.4 million. Nancy Pelosi and Chuck Schumer drew 2.6 million and 2.4 million respectively. It is worth noting that Ocasio-Cortez is significantly more active than many other Democratic representatives. During the 30-day period, Ocasio-Cortez tweeted an average of 5.8 times per day. Obama, on the other hand, posted an average of 0.4 tweets per day. President Trump tweeted an average of 9.1 times per day.